As a marketer, the number one thing that crosses your mind is how you will grow your traffic to sell your services or products. The crucial thing should not be the traffic but should be the amount of targeted traffic that comes to your website. 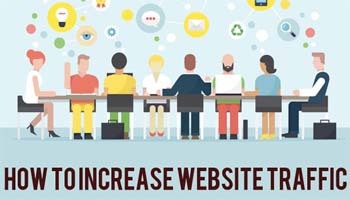 In this post, we will have a look at some of the tactics that you should employ when you want to grow your traffic on your website. When you want to bring more traffic to your website, there are numerous ways of advertising and this may include display adverts, social media adverts and paid search. Before going for any of the advertising methods, you will need to come up with clear goals in your marketing. When you have good content; this is not a guarantee that you will get great results. For better results and to engage with your audience, you need to make use of social media networks and this is where you will get solid base of interaction for your business. When targeting different audience in your business, you need to come up with content that will cater for them. This can be in the form of in-depth articles, short news posts, infographics and videos. To get organic traffic, you need to spend more time making your SEO better. Use legitimate SEO methods to grow your traffic and you will get organic and long term traffic. When building on your SEO, remember to focus on internal links, Meta descriptions, image ALT tags, as well as, fresh original content. When you have a compelling header, this will attract more readers and draw their attention. Come up with headline options for your content and select the one you think will appeal to your audience. You might be missing out when it comes to connecting and interacting with your customers. It has been found that there are users who are likely to search with the use of descriptive keywords when they are researching on a product they want to buy. It is important for you to have a solid internal link structure for your site to boost your SEO and make your experience better. This will assist in growing your traffic as well as encourage your visitors to stay for longer on your site. ← Do I need experience to build an affiliate site?